visitor attractions. From the chef and the gardener to the painter and decorator each of them tells what it takes to keep such a landmark destination in tiptop condition. some 200,000 visitors a year. 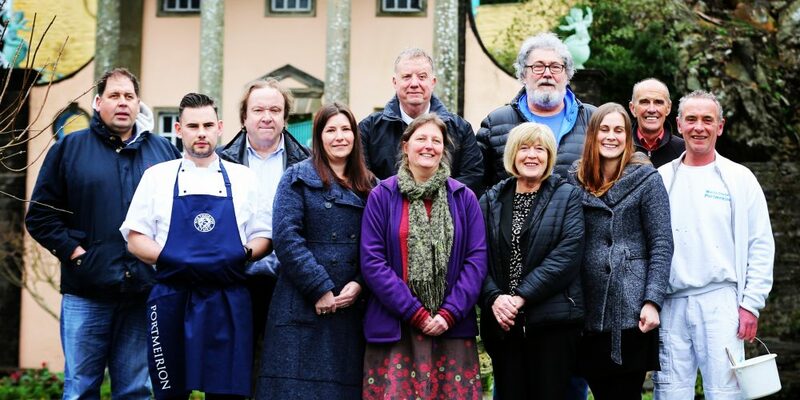 The new series features a wide range of characters – some of whom have worked at Portmeirion for decades. Martin Couture has been there for 42 years – starting when he was just 16 years old. Now the Head Painter and Decorator, he tells the programme how he maintains the colours and style laid down by Sir Clough as the village was built. “We have got about 80 different colours and we have got to keep a record of every colour we use. “We write everything down in case the building needs re-rendering. We know then that we have got the correct colour to put them back again as Sir Clough originally put them.” Head Housekeeper Rhian Roberts also features in the series. She helps look after the two four star hotels and range of holiday cottages on the site.